"...clear chapter organization and elegant illustration. It would be a useful purchase for academic and clinical medical libraries, and may be picked up as the primary text for courses in endocrinology at medical schools." "...provides first year medical students with a basic knowledge of normal endocrine physiology a both cellular and molecular levels and prepare them for more advanced studies of endocrine pathology and therapies." "...provides a solid overview of endocrine function and control...an introductory text that provides a solid basis of background information for the aspiring clinician, or for students planning to progress in a direction that investigates a broader range of organisms." "...presents the subject of human endocrinology in a way that actually makes the reader want more...this is an outstanding text for medical students, graduate students, and researchers who need a good reference book in the field." "Basic Medical Endocrinology should provide first year medical students with a basic knowledge of normal endocrine physiology at both cellular and molecular levels and prepare them for more advanced studies of endocrine pathology and therapies." 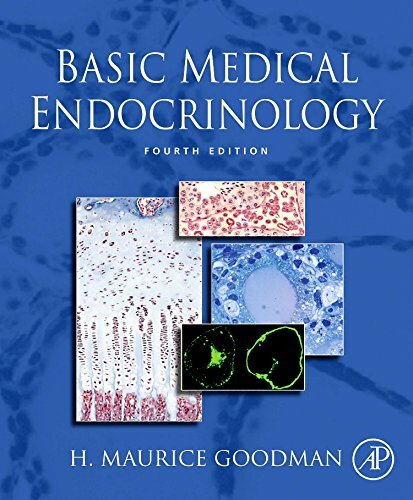 Basic Medical Endocrinology, Fourth Edition provides up-to-date coverage of rapidly unfolding advances in the understanding of hormones involved in regulating most aspects of bodily functions. Topics are approached from the perspective of a physiologist with over 40 years of teaching experience. This fourth edition is richly illustrated in full color with both descriptive schematic diagrams and laboratory findings obtained in clinical studies. Each of the fourteen chapters starts with an overview of the topic and ends with a Suggested Reading list. Initial chapters lay a foundation by presenting basic information and principles of hormone structure, secretion, and actions, and the physiological roles of the principal endocrine glands. Subsequent chapters address the role of the endocrine system in solving such physiological problems as the regulation of the volume and composition of body fluids in the face of changing environmental demands, and the regulation of short- and long-term energy balance. The final chapters deal with the indispensable role of hormones in growth, development and reproduction.